New appointment in the heart of Naples for Fontevecchia Association. 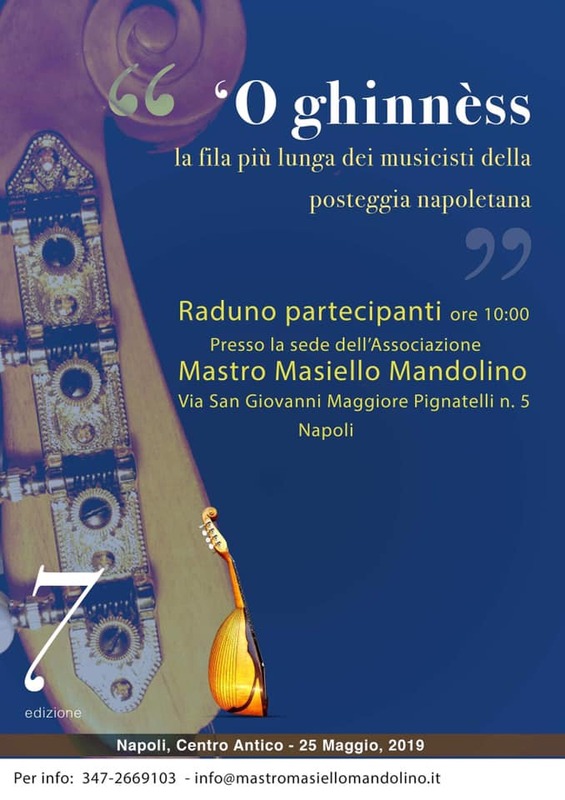 That will participate in the seventh edition of 'O Ghinnéss, an event organized by the Cultural MastroMasielloMandolino with the Associazione Onlus The seats to be held in NaplesSaturday, May 25, from 10.00 in old historic center of Naples and ends in front of the Royal Palace. This is the most important event that gathers the highest number in the world of mandolin players and parking attendants. But what is the Neapolitan parked? It 'a walking music group or even the place where he stopped to play a band. The word derives parked, of course, from "puosto" which is the place occupied by those who carry out an activity that is directed to the public. The vendors, for example, occupy a permanent place on the public highway so it is easy to talk about '' or puosto d '' or verdummaro "or other sellers. Today is not easy to find a group of four or five people that play and one of them sings, as well as in the tradition of parking attendants. Today, in general, the posteggia consists of one person playing normally, guitar or mandolin and at the same time singing. Sometimes the valets are two. 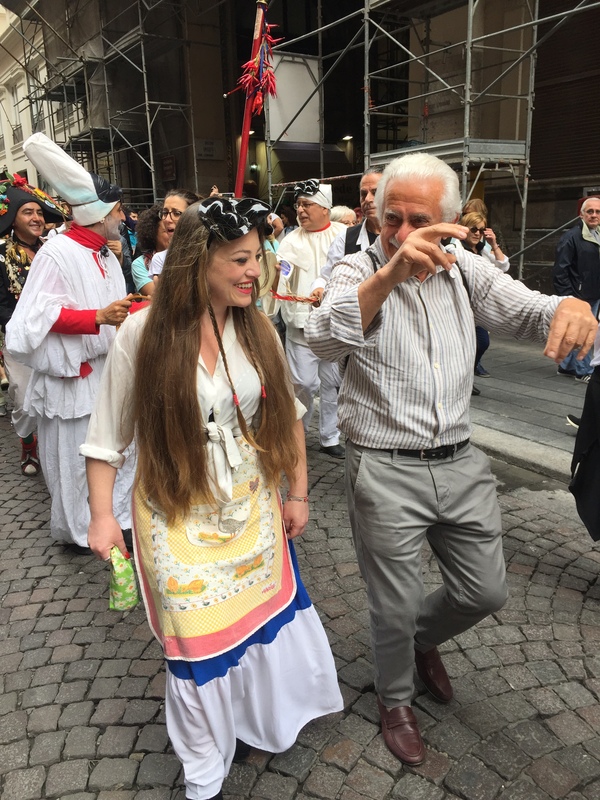 But back to the event, which this year is dedicated to the mask of Pulcinella. The initiative comes just as contribution to the UNESCO recognition of Pulcinella mask as a world heritage site. For some time, in fact, it was initiated a request to that effect by a number of associations Neapolitan will of Professor Domenico Scafoglio, Professor of Cultural Anthropology at the Faculty of Education at the University of Salerno, signed request, Abruzzo from Fontevecchia associations and Walking Together Onlus. 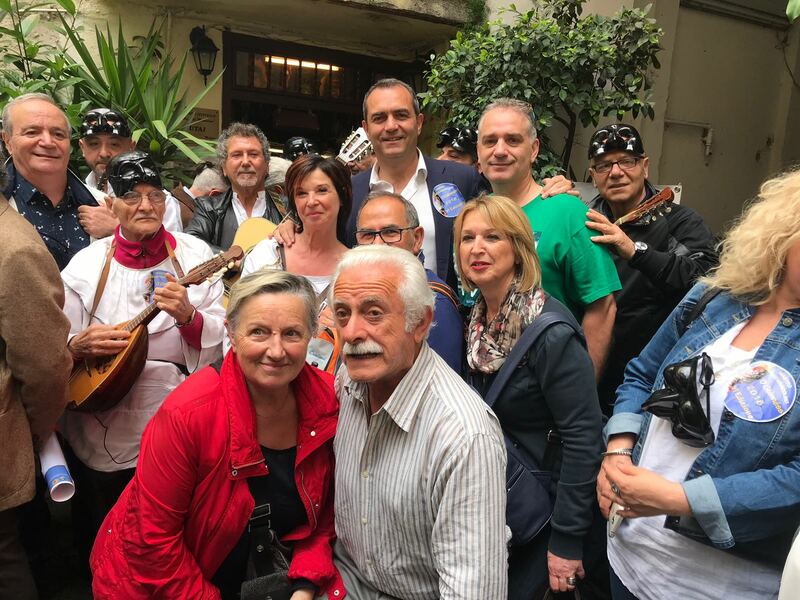 Saturday, May 25 Color and music will enliven the streets of the old town, will walk along Via Toledo from the intersection with Spaccanapoli, Accompanied by mandolins and groups of parked, reaching Royal Palace in Piazza Plebiscito. 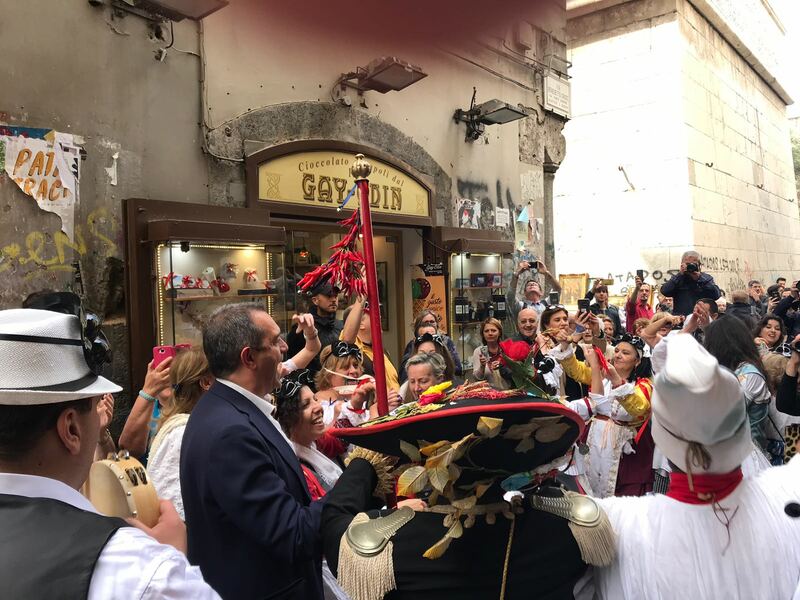 It is a unique event of its kind, which we are honored to participate in the reconstruction of cultural relations between Abruzzo and Naples, aimed at all those who love music and Neapolitan traditions, music lovers of all kinds and origin, and no age limit. A large number of associations and personalities that are clinging including Angelo Picone 'O Pazziariello and Dean Photographer Ferdinand Kaiser.The big event will begin at 10:00 am on Via San Giovanni Maggiore Pignatelli 5, Napoli.